What are the Differences in Chimney Cap Materials? A good chimney cap is the finishing touch in your overall chimney system design. A variety of chimney cap materials are available to fit your unique needs. After you have selected an efficient fuel burning appliance, such as a fireplace woodstove insert, and a properly sized and insulated stainless steel flexible chimney liner to carry smoke and combustion gases safely out of your house, you should also select a chimney cap to fit on top of your chimney flue. Chimney caps are available in a variety of sizes and materials to fit any chimney configuration. A chimney cap serves several useful purposes. The cap is mounted a few inches above the flue opening and keeps rain and snow from falling into the flue. It sheds precipitation over most of the masonry crown so that it doesn’t seep into small cracks and cause damage to the chimney structure due to acidity and freeze/thaw cycles. Many chimney caps are fitted with screened side openings that act as spark arrestors and keep trash and small animals from entering the chimney flue. In some cases, installing a standard design chimney cap will improve your chimney's drafting ability under windy conditions. The shape of the cap tends to create a vacuum at the top of the flue when the wind is blowing, so smoke and combustion gases are sucked more powerfully upward instead of being blown back into your house. If you have insufficient draft even with a standard chimney cap, there are specially designed caps that are meant to improve draft. There are also top-sealing dampers that are controlled by a lever on the side of your fireplace. These improve your home’s energy efficiency when your fireplace is not in use and also serve the same purposes as standard chimney caps. The most common chimney cap materials are: aluminum, painted or galvanized steel, stainless steel, and copper. Aluminum and galvanized steel caps are inexpensive, but are subject to corrosion due to harsh weather conditions and acidic combustion products flowing out of the chimney. Stainless steel chimney caps are a little more expensive than aluminum or plain steel caps, but they will last much longer without corrosion under harsh conditions. Stainless steel caps can be ordered in the shiny stainless finish or painted black, so you can choose the finish that best fits your home’s external look. Copper chimney caps are the most expensive of the common choices in chimney cap materials, but they can be an elegant addition to your home’s exterior décor. 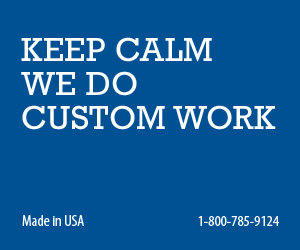 There are many standard designs and configurations of chimney caps that can be ordered without the cost of custom metalworking involved. Most are available in any of the chimney cap materials mentioned above. 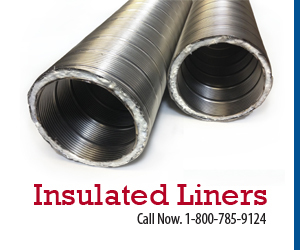 Chimney caps are available to fit onto round rigid or flexible chimney liner openings and are available in the same standard diameters as the most common liner sizes. 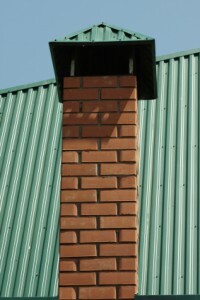 Chimney caps can also be purchased to attach to the protruding clay tile liner at the top of the flue. 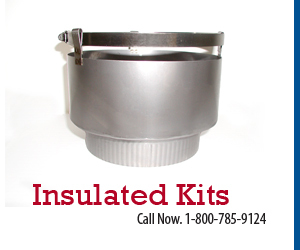 These caps usually have adjustable screws that securely attach the liner to the outside of the flue tile. If you have a chimney that accommodates two or more flues, you can order chimney caps that fit over all of them in a single unit. A chimney cap is a small investment you can make to improve your chimney’s performance and safety. Whether you choose aluminum, steel, stainless steel or copper for your chimney cap material, your chimney cap will keep debris out of your flue, keep live sparks from leaving your chimney and protect your chimney from corrosive effects of precipitation.